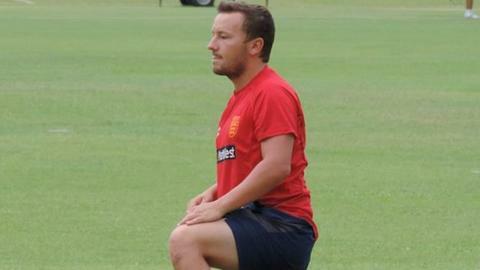 Jersey's Lee Meloy has been named the International Cricket Council's European coach of the year. Meloy, the island's development officer, helped guide Jersey to inter-insular victory over Guernsey and was part of the support staff at World League Four in Singapore. He also coached the Under-17s to success at European Division Two in Essex. "I am honoured and delighted to have won this award," said Meloy. "I'm very grateful for all the support I have had from the Jersey Cricket Board for assisting me with gaining coaching qualifications and providing opportunities to coach at all levels." The ICC said there had been a record number of nominations from over 4,000 "qualified and active voluntary coaches" across the continent. The award is the third piece of good news the Jersey Cricket Board has received from the governing body in the space of a week, following the announcements that the island and the Europe Under-19 Division One later in the summer. Meanwhile, Gibraltar's Lizzie Ferrary has been named ICC Europe Junior coach of the year.